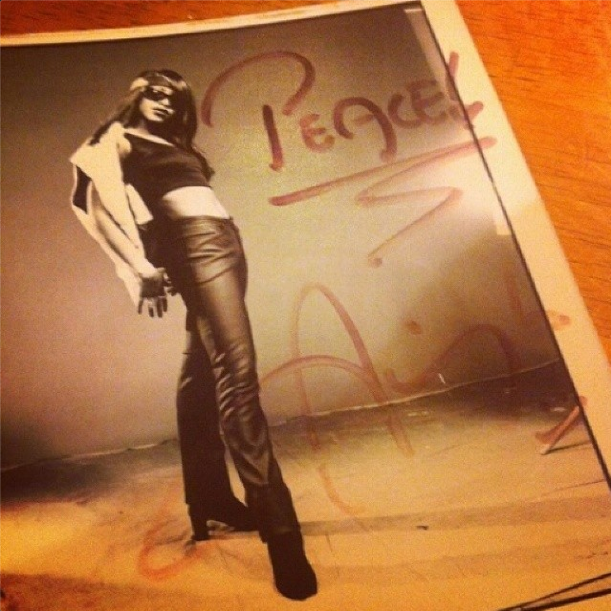 Repost from @mixaholic who got an autograph from Aaliyah at his school! Which also happens to be the same school I went to too! ;) For personal reasons, I cannot disclose that information, but if you would like to contact me personally to talk about it you can via theaaliyaharchives@gmail.com I was very young at the time, since this was during her AANBAN era, so I would not of really remembered much. But one of the main reasons I chose this high school was solely based on the fact that Aaliyah performed there. That alone had me sold from the jump! :o) In fact, my Brother's friend has her autograph too, which I have been trying to get a hold of for some time!